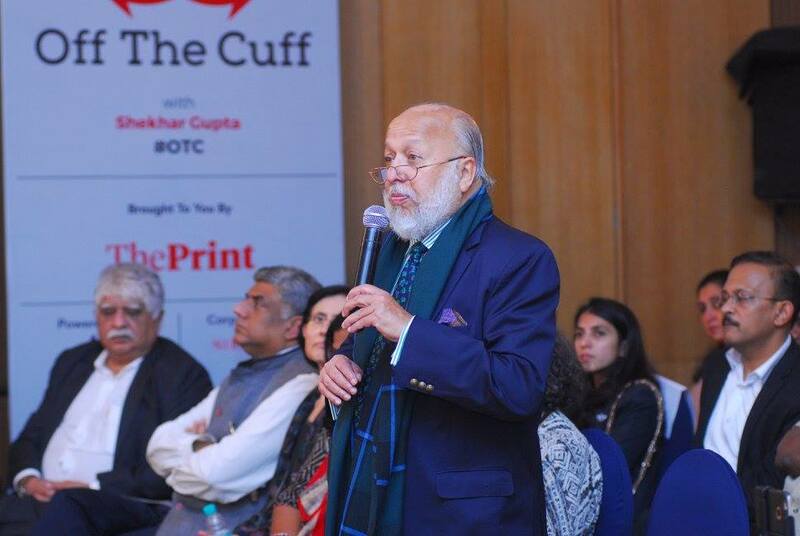 This edition of ‘Off The Cuff’ saw Economist and Member of PM’s Economic Advisory Council, Surjit Bhalla in conversation with ThePrint Chairman & Editor-in-Chief Shekhar Gupta and Non executive chairman of Infosys, Nandan Nilekani. He spoke candidly on a range of issues including the status of the economy, healthcare and education. He explained why RBI’s monetary policy committee should bring down the key rates. 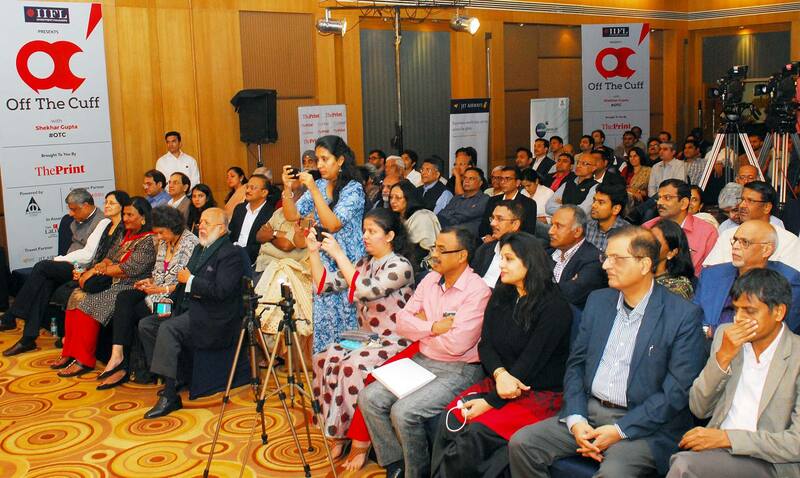 The event was held in Bangalore on 05 December 2017. 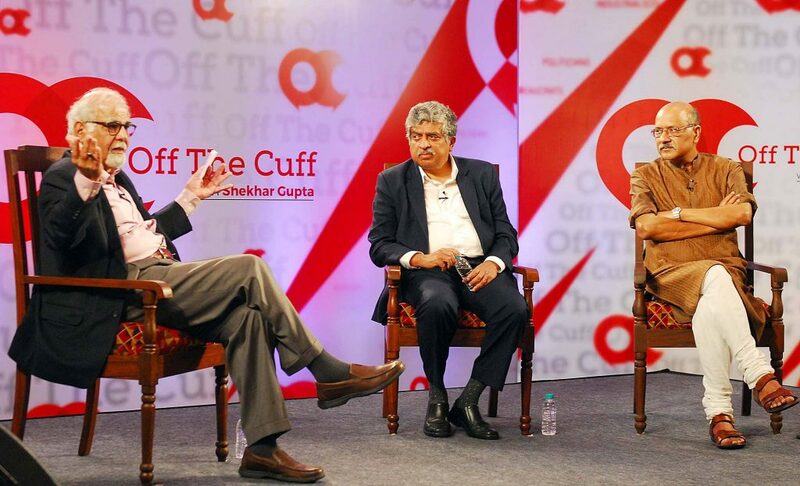 From left: Surjit Bhalla, economist & PM’s Economic Advisory Council Member; Nandan Nilekani, non executive chairman, Infosys; Shekhar Gupta, Editor-in-Chief, ThePrint. 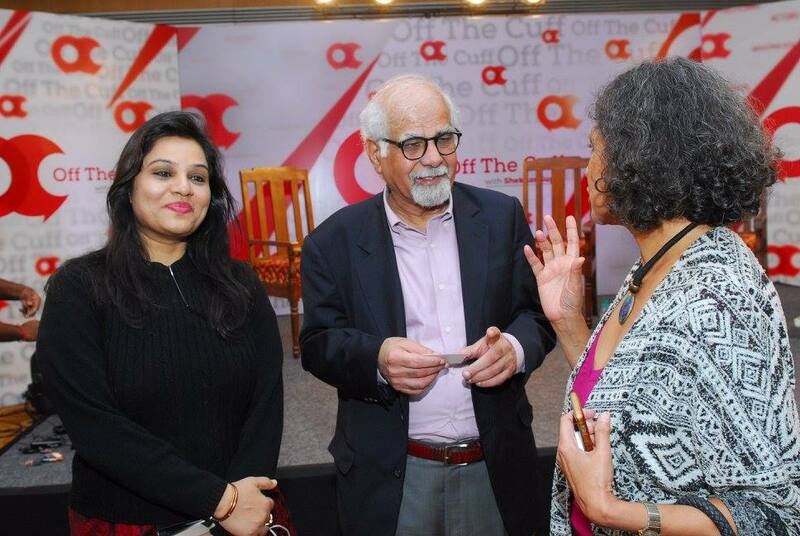 From left: D.Roopa, DIG & Commissoner for traffic and road safety; Surjit Bhalla; Sucharita Eashwar, founder & CEO, CWE. Stanley Pinto, former advertising guru asking a question. 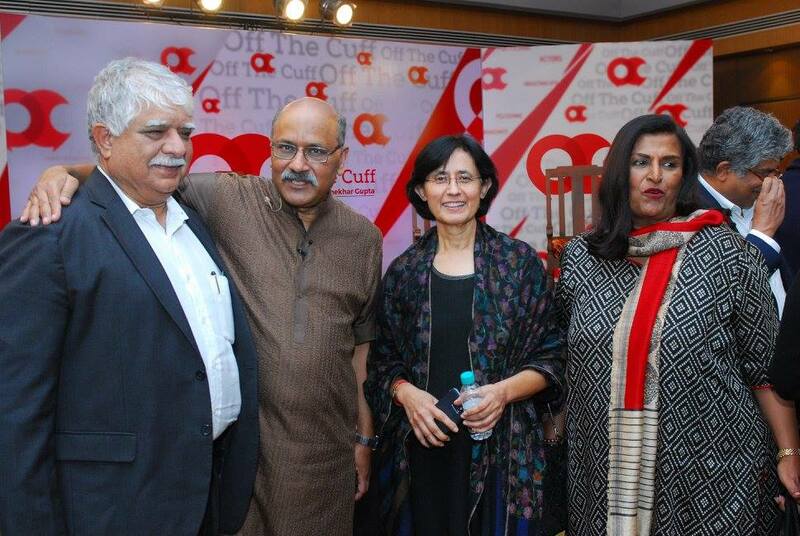 From left: Madan Bahal, MD, Adfactors PR; Shekhar Gupta; Vinita Bali, chairman, Global Alliance for Improved Nutrition; Latha Reddy, former Deputy NSA.